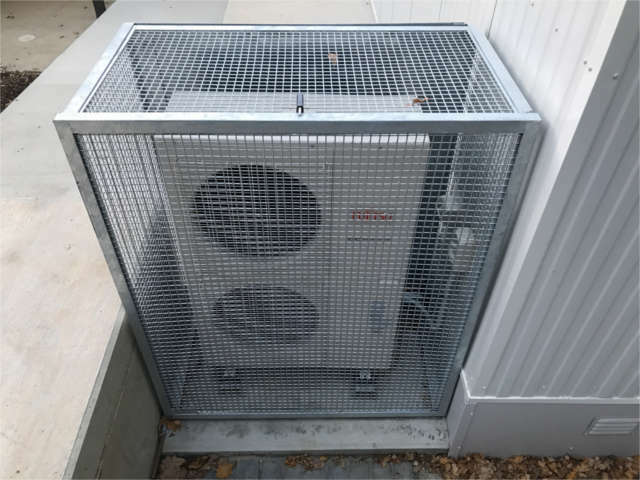 AC Condenser Cage is a modular security cage system designed to provide protection for air conditioner condenser cages and external equipment from theft vandalism or accidental damage. 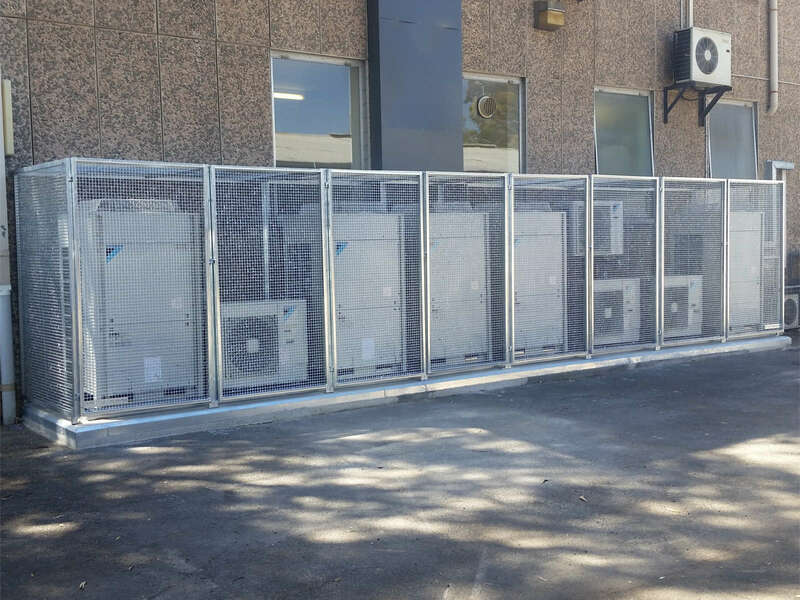 Condenser Cage's modular design allows single or multiple cage systems to be easily assembled from standard components. 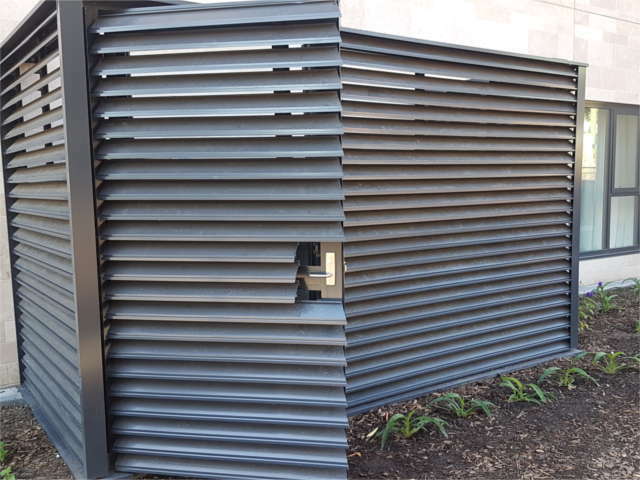 Hot dipped galvanised steel throughout provides robust protection and extended life. Condenser cage flat-packs for affordable transport throughout Australia. Condenser Cage is a convenient, cost-effective yet high quality security protection solution. 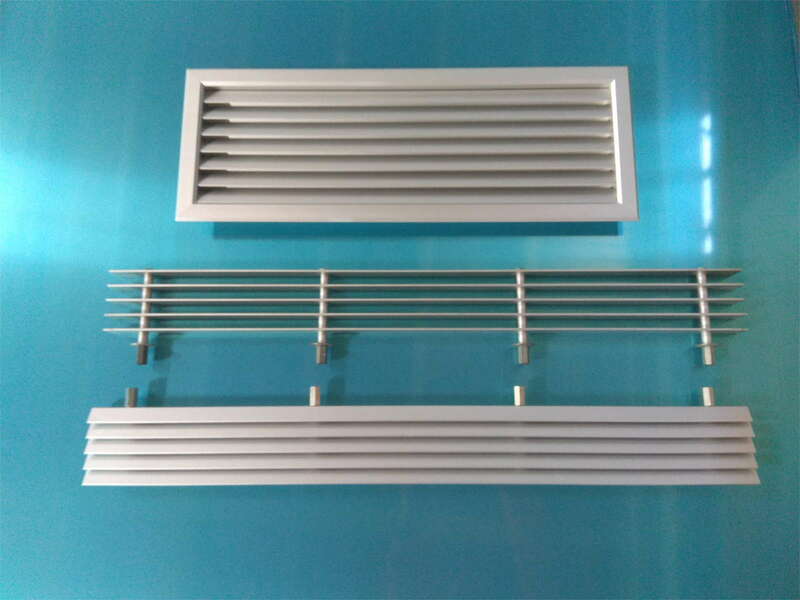 Standard Condenser Cage models are supplied ex-stock. 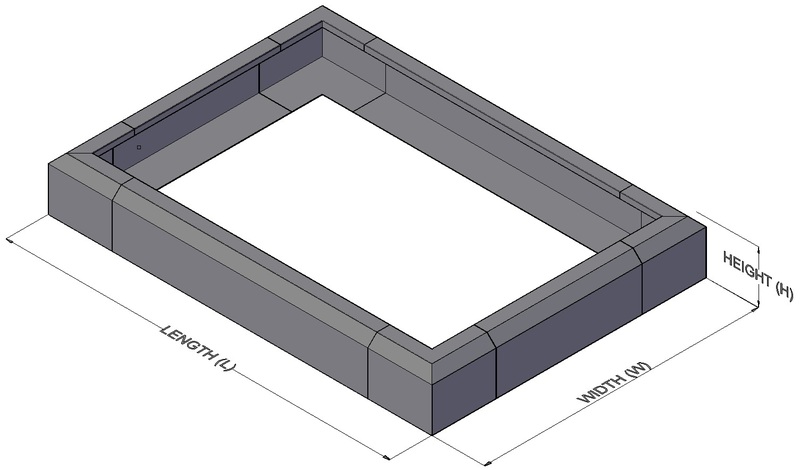 Custom modules can be promptly fabricated to suit your special installation requirements. 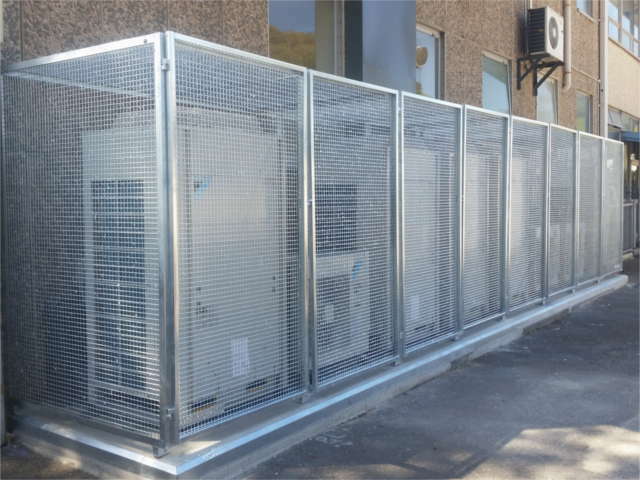 Condenser cage custom modules can be manufactured to meet your needs. We also manufacture and install skid frames, roof supports, wall brackets, walkways and handrails.